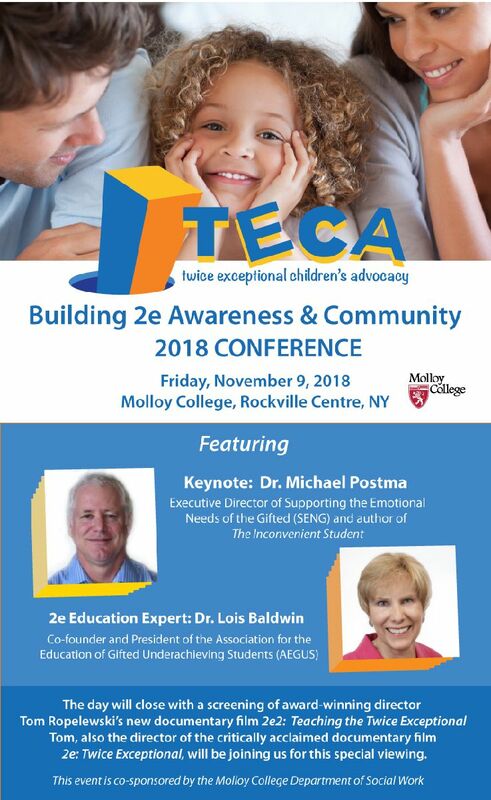 Join TECA for a full day of more than a dozen workshops and panel discussions, networking and resources for parents of 2e kids and the professionals who work with them! This year will feature introductory and advanced topics related to parenting twice exceptional children, as well as a professional track for those who work with 2e students and their families or would like to deepen their knowledge of twice exceptionality. Do you ever wonder if your child is gifted? With TECA, there is no more "either-or"!